In the early 1990s I produced a number of facsimile editions of publications of the early nineteenth-century avant-garde and I had long wanted to reissue the legendary but extremely rare periodical Neue Grafik / New Graphic Design / Graphisme actuel. Swiss designer and co-founder Josef Müller-Brockmann (1914-96) had given me a complete set. I had first met Müller-Brockmann in 1978, when I was still a student of graphic design. Our meeting developed into a close friendship. He was a strict teacher but he was also curious to observe with me the digital ‘revolution’ as it unfolded. My friendship with Richard Paul Lohse (1902-1988) was shorter, although equally intense. 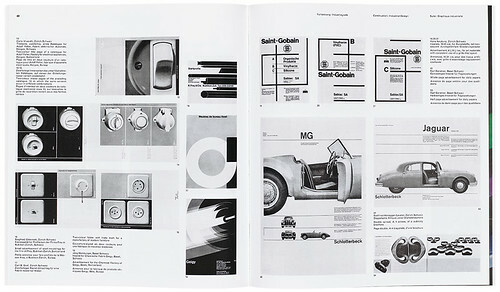 Lohse and Müller-Brockmann – together with Hans Neuburg and Carlo Vivarelli – were the editors of Neue Grafik. Both Lohse and Müller-Brockmann were pioneers of Swiss graphic design in the 1950s and they must have seen me as a suitable custodian of their radical position for my generation. I was strongly drawn to objective communication and constructive design, and the influence of my two mentors was reflected in my own work. It is only during the past three years that I have been able to create the conditions to realise the aim of reissuing Neue Grafik, thanks to my highly experienced colleague, Martina Mullis, and a team of specialists in lithography and printing who have taken up the challenge. The original publication was printed in letterpress. To reproduce it accurately, the characteristics of this process, including the ‘halo’ effect around letter edges and the coarser halftone screen for pictures, had to be taken into account. Thanks to a combination of line, grey tone and colour reprography, and following several test runs, we came up with a version for offset printing that was true to the original. The high quality of the reprint – combined with its veracity – is important to me because the original editors’ commitment to excellence was an expression of their conviction that constructive design reveals its aesthetic and communicative effect through objectivity and precision. This is an approach that increasing numbers of today’s designers are adopting. Neue Grafik’s ‘Stile Olivetti’ and ‘Graphic and Jazz Records’. Top: ‘Graphic Designers of the New Generation’. Lars Müller’s long-awaited reissue of Neue Grafik in vivid and authentic facsimile form is an impressive technical and aesthetic achievement. A study slipcase (left) contains all eighteen issues of the trilingual Zurich review (1958-65), the last two of which were published together as a double. 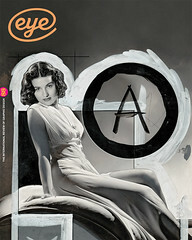 An additional booklet, in the same format as the magazine but with a red and black cover (far left), contains facsimiles of the review’s promotional supplements alongside biographies of the founders and new articles by Richard Hollis, Catherine de Smet, Steven Heller and Müller. There are also short comments from Wim Crouwel, the late Massimo Vignelli, David Hillman, Michael Bierut, Steff Geissbühler and others on Neue Grafik’s significance worldwide. Neue Grafik’s design may have served as both manifesto and manual for the New Typography, but its editorial scope went beyond type to embrace art, photography and science. 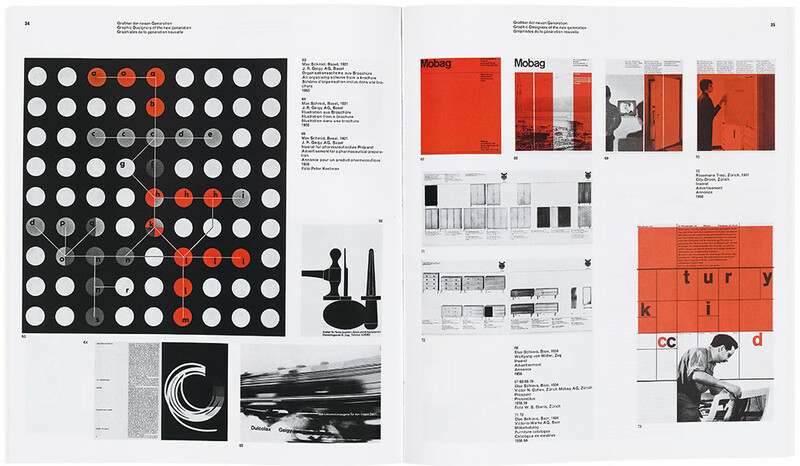 Hans Neuburg was the most prolific and versatile writer of Neue Grafik’s four editors, writing articles that encompassed industrial design (opposite, below) ‘Stile Olivetti’ and ‘Graphic and Jazz Records’. as ‘Graphic Designers of the New Generation’ (above) and ‘New Typographical Design in 1930’ (below) provides watertight evidence for Neue Grafik’s landmark status. 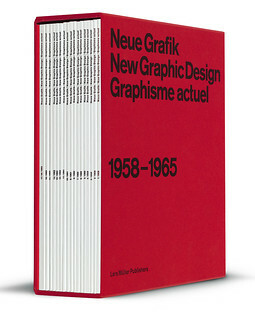 The slipcase contains all eighteen issues of the trilingual Neue Grafik / New Graphic Design / Graphisme actuel.